POLITICAL WAR GAMES SERVING WHOSE INTEREST? 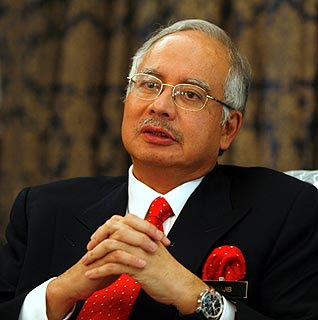 On the eve of Malaysia’s 53 Merdeka celebrations the Father of Malaysian Racism continues what he is good for – blatant racists statements which undermines Prime Minister Najib’s 1Malaysian vision! This political reject aspires now to be included as a spokesman for Middle East Peace Plans! On the other hand – If there is seriously a count on the number of police reports made by politicians and aspiring politicians and even those hiding under various shades of NGOs post GE12, I am certain the figure would be strangely high and shocking! Even strange when they are initiated at a time we are expected to spend our days and nights in prayer, fasting silent reflection and good deeds! Time spent reading and reflecting on the rich spiritual message! But no, sadly just days before we celebrate not only the nations 53 Independence there are still politicians shouting political slogans, making seditious statements and acting in a manner that threatens public order! Worst â€“ the language on the banners are not only vulgar but incites violence! They allege â€˜chaosâ€™ or â€˜religious conflictsâ€™ but seriously who is going to initiate them or most importantly, who is indeed fanning such sentiments? And whose political interests would it serve for such happenings when we are struggling to be internationally competitive, lobby strategic foreign development investment and move towards a developed nation? I thought after the infamous â€˜Cow head fiascoâ€™ lessons may have being learned! And what is the message by these young inexperience and inpatient politicians or worst message from the old and assumingly retired when they either try to resurrect the past or continue yet on a racist frolic of their own when the political climate and circumstances have drastically changed â€“ socially, economically and politically? The fact is these actions by yet another few or a mainstream vernacular newspaper are not going to help win back states that have being lost but may create a scenario of a backlash not against their targets – but against those financing, planning, aiding and abetting these political demonstrations in the forthcoming general elections! We have failed to pause, listen and engage! We think that by political wars games and vulgar racists lies carried in print and interviews will win elections! Some seem to have forgotten what MAAF ZAHIR DAN BATIN means? I have said this before and I say this again â€“ let us not lose elections because of â€˜political predators and idiotsâ€™ who go on a frolic of their own embarrassing the federal government, senior party heads and undermining serious politicians and others working behind the scenes to win back lost support by sheer dedication and honest hard work! On the eve of our 53 Merdeka Celebrations – I appeal to Premier Najib Tun Razak and both Ministers of Home Affairs and Justice to send the strongest message that these kinds of demonstrators, demonstrations and incitement be stopped in the national interest! 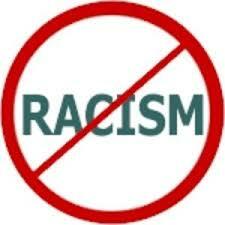 HELP STOP THESE RACISTâ€™S WAR GAMES NAZRI URGED! Let us start with the right legal premise! If there are allegations it must be first investigated before various quarters among them disgruntled and defeated politicians and their respective political parties, racists groups and a lead mainstream newspaper whose priority these days seems to be to carry racial bent sensational stories in their dosage of hate carry out a trial by media! It does not help the efforts and slogans of 1Malaysia nor the claims of our lead politicians who sing political homilies saying we have zero tolerance for racism and racists statements and yet are slow to come off the block when these issues transpire as it did in Johor and Kedah recently â€“ just weeks before we celebrate our 53 year of independence and in a time where we are being royally embarrassed by the burning and malicious sacrilege of our national flag in Indonesia! Two vernacular newspapers and a racists pressure group have being in the thick of these â€˜hate storiesâ€™ and no prizes in guessing who they are! If the agenda is to raise anger among certain racial groups to regain lost support â€“ let me tell you – it is not working as even a â€˜mental retardâ€™ can read through these amateur statements and actions! The script is out dated, stupid and a political over-kill! Worst it hurts efforts by independent groups and individuals (like this writer!) working behind the scene to regain lost support! Today Indians and Chinese do also read these vernacular newspapers! 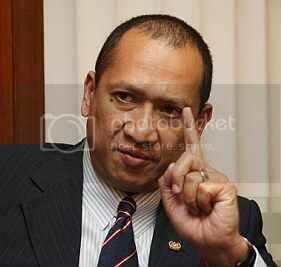 So I cannot but laud my dear friend – Minister in the Prime Minister’s Department Mohamed Nazri Azizâ€™s statement that any quarters or individuals who make statements which touch on the sensitivities of other races and religions must bear the consequences when the action is reported to the authorities! I am happy to hear that action will be taken against any quarter regardless of race or position! I agree with my learned friendâ€™s contention that we cannot accept ‘misinterpretation’ as an excuse. It involves â€˜public perceptionâ€™ and therefore all of us must be careful! No one has a monopoly â€“ love begets love, as does respect, tolerance and sensitiveness! Perhaps, we can start by a warning to Utusan Malaysia and various racist groups, to tone down their â€˜political war gamesâ€™ as it does not help 1Malaysiaâ€™s efforts at addressing polarization and race relations, neither does it open the floodgates to an avalanche of Foreign Direct Investment (FDI) into the country with all these front page byline and race related stories! My prayer and appeal is that these groups do not ruin the peace and goodwill we all share for their narrow vulgar political agenda and insecurity! It is pertinent that opposition politicians also refrain from indulging or encroaching into areas that are prohibited, taboo or politically incorrect that can be manipulated by political predators and opportunist for their narrow political agenda! Perhaps, dear friend Nazri â€“ a person who tolerates no nonsense will see to it that the Cabinet Committee on Law Enforcement which he chairs having on its membership the presence of Home Minister Hishammuddin Hussein, Information Communication and Culture Minister Dr Rais Yatim, inspector-general of police Musa Hassan and attorney-general Abdul Gani Patail will exercise a zero tolerance at any action that threatens the delicate social fabric of our nation! HOME AFFAIRS MINISTER HANDED CONMAN BALA DEVAN DOSSIER! 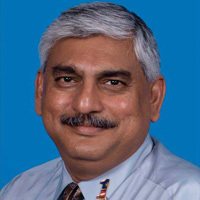 I am advised – Indiaâ€™s lead newspapers have taken interest in this scandal – and following my blog and Malaysiaâ€™s lead Media revelations on conman ‘Kannan’ â€“ Bala Devan who claims links to politicians and civil servants in India! A 30 page dossier on Malaysiaâ€™s lead conman and pathological liar, Brickfieldâ€™s Scott Roadâ€™s â€˜Kannanâ€™ or Bala Devan s/o A. Theaivendiram 57 has been handed over to the Home Affairs Minister! Notorious Â Bala Devan who is still at large had claimed he is connected to the powers that be both in Malaysia and India and in a position to give out various government multi million project packages and the Seremban to Gemas Double Track Project and the Malacca to Tampin and other rail jobs which includes the refurbishment of KTMBâ€™s carriages! 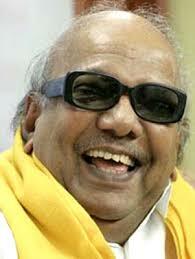 A copy of the said dossier will also be sent to the Tamil Nadu Government and the Ministry of Railwayâ€™s India! The dossier contains a comprehensive exposure of the various police reports against @that swine (a term of endearment from one of his victims! )Â and other evidence â€“ the more than a decade of fabrication, fraud, cheating, swindle that left a trail filled of innocent victims, lawyers, unemployed, contractors, industry captains, businessmen and women, and others! Unemployed Bala Devan did not stop there as his passion for luxurious living and women went beyond as he also cheated the â€˜little peopleâ€™ of between RM1000 â€“RM5000. People like hair dressers, kindergarten teachers, 4D operators, single mothers and widows! Nothing was sacred to this pathological liar! He even used payments for his aged motherâ€™s dialysis as an excuse to ask for monies from unsuspecting victims! That is how low he will go! He also preyed on those who spent their time on social chats. Now with all these documentation and victims coming forward it is just a matter of time before him and his accomplice â€“ one â€˜Abdul Karimâ€™ is caught and charged! It was a trail left behind by a professional conman and fraudster, a womanizer, smooth talker who speaks several Indian subcontinent languages, who loves gambling, his drinks â€“ Blue Label Whisky and his cigarettes Dunhill! One of his victims today told â€“ â€˜All I did was introduce him to my friend Arvind and he manipulated that young man who is married to the Tamil Nadu CMâ€™s daughter! Instead of issuing death and bodily harm threats, he should have the courage, decency and ethical value to face his victims and their mountains of documentary evidence and paper trail at Bukit Aman! Instead of doing so he continues to run and hide under the ‘skirt of his mistresses’Â for the coward he is and has been after ruining so many peopleâ€™s lives and professions! A living disgrace to friends and family as several angry creditors, brokers, companies and contractors are looking for him! 5. Who is A.P. Misra and what is his role in all these allegations? Is he also a victim or a player? Who is this Daisy too? Who were his link in Ministry of Railways India and IRCON if any? What was Tamil Naduâ€™s role in this? I want to thank the numerous email writers who echoed their strong undivided support to the trend of the statement made yesterday on donations and â€˜hand-out eventsâ€™ involving the marginalized communities in the country! 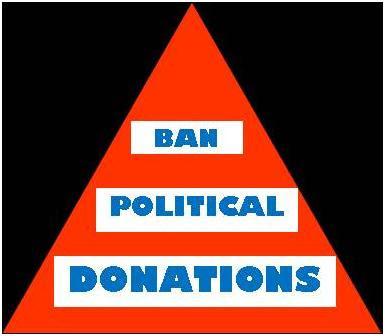 It is just not political parties that are caught up in this despicable practice but government agencies, NGOs and the so called charities and cooperatives set up with government allocations, public donations and funds! I have always stated that even Consumer bodies of late are caught up in this web! I have always stated that we cannot and should not mix charitable activities and politics as the integrity and accountability of both will be at stake in view the manner things are undertaken in Malaysian corridors! We have heard of abuse of such charities to plump blow politicians and their wives for photo shoots and for their political agenda! We have heard of politicianâ€™s wives who insists that they get the same positioning as their Â politician husband at government and public events and â€˜hell breaks looseâ€™ if that does not happen! We have heard of the monies gone missing from donations after human and environmental disasters! It was a culture shock to me! These things were never heard of during the days I started as a consumer advocate in the seventies in Penang! After more than 35 years – true we have consumer groups and consumer groups today! But coming back to the manner we manage issues pertaining to the poor, the marginalized, the single mothers, the orphans, donations â€“ there must be care and sensitiveness! Just because they are poor does not mean that we drag them through a massive published media photo shoot of cheques and handouts being given by beaming politically rich and famous politicians or their wives! Why do we need a photo shoot if the intention is to genuinely help? Why do we need to highlight the event as if it is a success story when in actual fact it is a shame that we have such target vulnerable groups in our midst! The same goes when we use a political shoot for handouts from the Malaysian public for operations and medical intervention schemes when we already have an ever ready Ministry of Health, Malaysia who will be only too happy to assist in real situations! On the same note is the functions, the open houses and handouts also reflecting Prime Minister Najib Tun Razakâ€™s 1Malaysia concept? At the time of writing there is so much political spin on what we are doing in West Asia and now Pakistan! Well done but are we being fair and consistent in this? I did not hear the same emphasis for assistance and political spin elsewhere when disasters strike as in Sri Lanka? True it is difficult to today differentiate between an honest heartfelt response and one from a political predator or his ever scheming wife! But charity starts at home â€“ that means to all those in need in 1Malaysia! I sincerely hope that we will see reforms in this area! Most holy books ask you to be private about what you do for the marginalized, the single mothers, the poor, the sick, the orphans, the homeless and the destitute! Religiously that is clear enough! But not in Malaysia â€“ here it has become a professional media circus, an art in itself fit for Hollywood awards! Tell the whole wide world that you are giving donations or providing a meal or dinner for the underprivileged! It is shameful that this is being done in full view of the Malaysian media both electronic and print! We in the NGO world are also guilty of participating in this vulgar display! I wonder whether the donation blitz is more for the poor and needy or the profile, political or other agenda and aspirations of those indulging in it! Our politicians, their wives, the rich and powerful seem to be so caught up in their own political and social euphoria that they forget that even the poor, the marginalized, the single mothers, the orphans have their dignity too! Interesting questions for a Wednesday morning though!